Part 2 of my favourite photographs from 2017. I sometimes forget how many photographs I take and it can take time to go through them. I also seem to have good months and bad months in terms of quality. May seemed to be a particularly good month but alas I am only posting one per month. 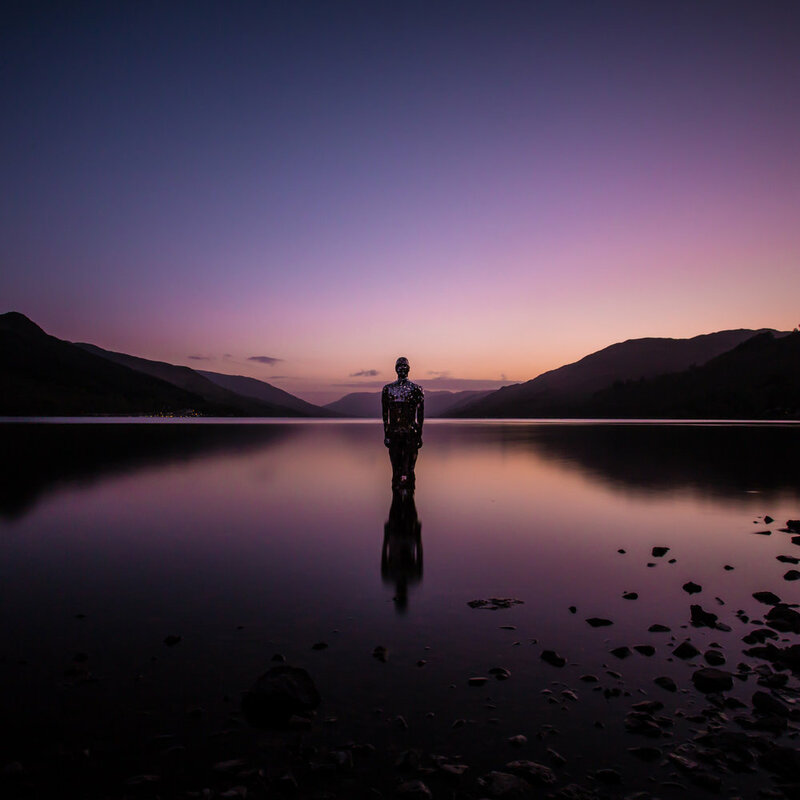 My first visit to the "Still" sculpture at St. Fillans on Loch Earn. This was an impromptu trip where I decided around 7pm to drive to St Fillans as I had nothing better to do. It was a warm night and the midge were biting hard but I persevered until I had a few shots that I was happy with, before, during and after sunset. This was the photograph I took after sunset with just the dusk tones left. I am still a little sad that this sculpture has been taken away. Summer saw me take a few impromptu trips, this time all the way to Corpach, near Fort William. I had been meaning to visit this location for a long time and after driving to Glencoe that day I decided to keep going until I got to Corpach. I had no idea where the boat was and had to phone a friend to get directions. It was around this time i the year that I really started to like 'dusky' tones in my photography. 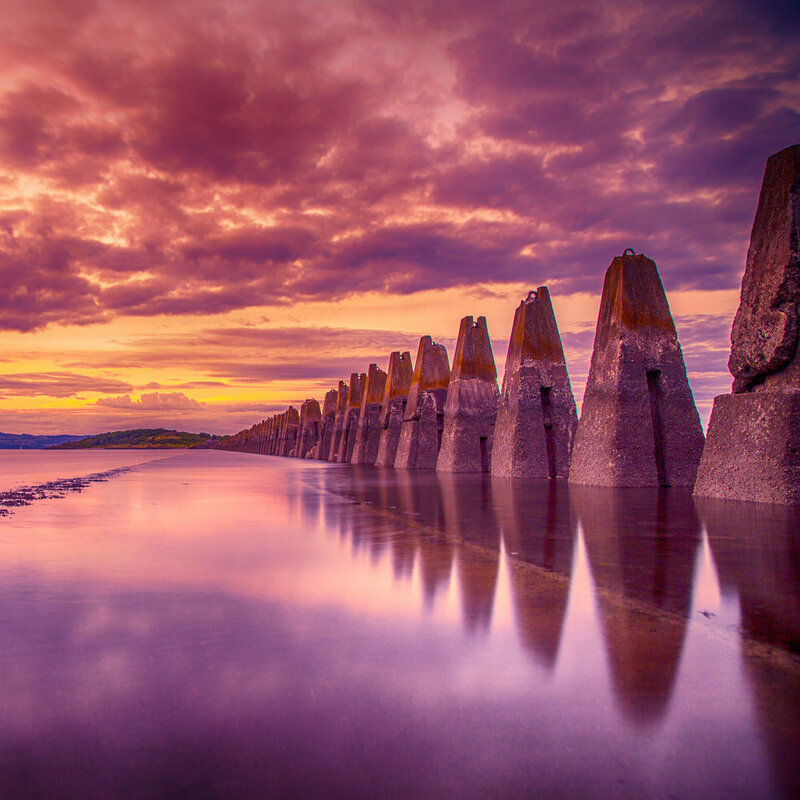 Cramond Beach, these are anti-boat pylons that a lot of people mistake fro anti-submarine pylons. I have to bite my tongue when people call them anti-submarine. A remnant of the Second World war they are now starting to fall apart. The island in the distance is Cramond Island which can be reached via the causeway that the photograph is taken from. The tide comes in fast here and people do get stuck on the island overnight due to this. Blackness Castle. If there is one thing that Scotland does not lack, it is castles. Blackness is surprisingly close to where I am living right now and I was surprised that I had never visited before this time. This is an HDR image, I wanted the colour in the sky as well as the detail of the seaweed and the castle in it. It's not a great photograph but I was pleased with the HDR processing on it. Something learned is always useful.